Isn't that horse dead yet? Yet another thread on QRP-L on why the Yaesu FT-817 is better than the Elecraft KX3. Sheesh! Haven't we beaten that horse to death yet? Maybe it is, maybe it isn't. Different strokes for different folks. Either way, I thought we all outgrew those "My Dad is bigger than your Dad" arguments when we were about 7 years old. Give it a rest, already, it's getting old. My log book experimentation obsession - has it come to an end? Let's see if I get the timeline straight ..... things get fuzzier as one grows older! For the first 15 years or so of my Amateur Radio career, I used the "ol' stand by" ARRL paper log books for logging my QSOs. I think everyone did - well, log books, I mean. If you didn't use the ARRL ones, you probably used giveaways that used to be handed out as promotional items by Yaesu and Kenwood, or perhaps you just used a regular spiral notebook or loose leaf in a binder. About the mid 80's, I discovered Log-EQF and used it for several years. It was fast, intuitive and did not require much in the way of computer processor power. It was a DOS based program with a UNIX look and feel to it. It was great because the comments space for each QSO was vast, and my log book became sort of a QSO diary in addition to recording the essential QSO data. The fact that it ran great on 80286 and 80386 machines was icing on the cake. As Windows developed and became more popular, Log-EQF transformed into Win-EQF. I thought that with the transition to becoming a Windows based program that the developers would update the look and make it appear more like other Windows programs. Sadly, they kept the UNIX appearance and I guess I'm shallow - but I wanted something that was more aesthetically pleasing. So I purchased a copy and switched over to AC Log for a while. I did that based on the raves everybody was giving it (and still do). Having a a junker computer at the time, the program would hesitate on me as I tabbed through the data entry fields. The biggest glitch would come when I tabbed from the last "normal" field to one of the custom fields that I had renamed "Rig/Ant". The program would freeze up on me for about 3 or 4 seconds before jumping to the custom field. Not sure what that was (as I stated above, it was probably due to not having enough processor power or perhaps not enough RAM installed), but it drove me mad, particularly while trying to simultaneously log and carry on a QSO. 1) The program had to be aesthetically pleasing to the eye. 2) The program had to be relatively easy and intuitive to use. 3) The program had to work well with my less than state of the art computer. 4) The program didn't have to be free, but that would be a bonus. I think I downloaded and tried just about every freebie and/or demo logging program out there. Some worked great, but didn't have the features I wanted, while others had the features I wanted, but didn't work on my computer. I settled upon three different programs - Ham Radio Deluxe, the DX Labs Suite and Log4OM. The DX Lab Suite is about as complete as they get. If you want a feature in a log book program, "It's in there!" as the old spaghetti sauce commercial goes. The problem was that so many bells and whistles came with a steep learning curve. This program takes a long while to become comfortable with and I never did. Log4OM was easy to use, easy to set up, pleasing to the eye and full featured. You would think this would end up being my choice, right? Well, it did - but not right away. For a while, it came in second. For a time, I went with Ham Radio Deluxe, back when it was run and maintained by Simon Brown. It had everything I wanted, was relatively easy to use and pretty intuitive, and was very easy on the eyes. It was free, but I was sending a donation to Simon every now and then for all his hard work. Then he went and sold the rights to it. HRD became a commercial product and I even bought the rights to it for one year. Improvements were made and it ran well on my XP computer. Then I bought a laptop which had Windows 7 on it, and unfortunately I had some trouble getting HRD to work correctly. Eventually, I got it working just fine, until one day when Windows went and updated on me. The next day, all my previous efforts went for naught and all went kaput in my HRD world. I started getting all kinds of new errors and lo and behold, my year's worth of support had run out, and I ran out of patience (which has never been my strong suite). So I went back to Log4OM, my second runner up, and I'm so glad I did. In addition to being easy and intuitive to use, there were several other things about it that made me additionally happy about the change. 1) It installed, quickly, easily and without a hitch. 2) The interface between Log4OM and LotW and eQSL are so simple, even I was able to figure them out. 3) I have since upgraded to Windows 10 and have had several windows updates and Log4OM keeps on ticking like nothing has ever changed. 4) There's actually a comprehensive User's Manual available on-line that you can download to refer to any time you need it. 5) There's a forum at the Log4OM Website that Danielle IW3HMH and Terry G4POP monitor and you actually get answers to questions. And they'll even incorporate suggestions and features into future releases of the program, if they deem it worthwhile. 6) Their DX Cluster tab is the bomb! If you hook up your rig to the program via CAT control, you can enable the program so that as you change bands, the Cluster will display spots only for the band that you're currently on. Other software programs probably offer that feature as well, but Log4OM does it so nicely. I have been a happy Log4OM user now for a couple of years and an so happy that I'm not even tempted to go and look at "new kids on the block" when they pop-up from time to time. And to answer any skeptics out there, no, I don't receive any consideration or kick-back from Danielle or Log4OM for relating my experiences here, I'm just a happy, very satisfied user and am hoping that others can be, too. And I intend on being a happy, very satisfied user for a long, long time. As for AC Log, it works quite well on my current laptop with no issues. 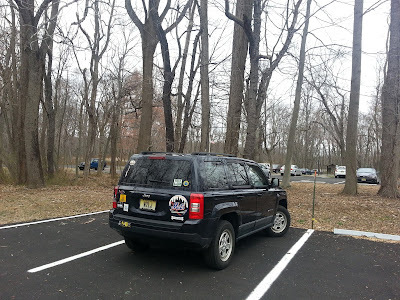 I use it for keeping the NJ2SP log, as many other members of the South Plainfield Amateur Radio Club use AC Log as their primary logging software and I can easily share the file with them. For personal use, Log4OM has features that I like that AC Log doesn't, and I like those features too much do without. Last evening, as I lay in bed, struggling to fall asleep, the winds were howling, and I do mean HOWLING. Not an exaggeration, they were dong their best to imitate a freight train passing underneath our windows. But, thanks be to God, both antennas are still up, working, functional and never the worse for wear. Dodged another bullet - whew! I find myself in somewhat of a quandary. I e-mailed my buddy, Bob W3BBO about this. 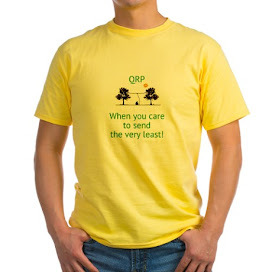 I see all the posts on Facebook about the Heard Island DXpedition. All these people seem to have worked them on so many bands and with so many different modes. I just can't bring myself to even bother trying. It's not that I don't need them. Working VK0EK would be an ATNO for me. Never worked Heard Island before, It just seems, that for some reason or other, I just don't feel like jumping into the fray. On the other hand, Yosemite National Park was on 20 Meter SSB last night, I spent close to half an hour unsuccessfully trying to bust that pileup, before they faded into oblivion. So it's not that my competitive instinct has disappeared. Not sure what my problem is. I'm sure whatever it is, that like everything else, it's cyclical and one day I'll be jumping into the DXpedition pileups with both feet again. "Why do you search for the Living One among the dead? 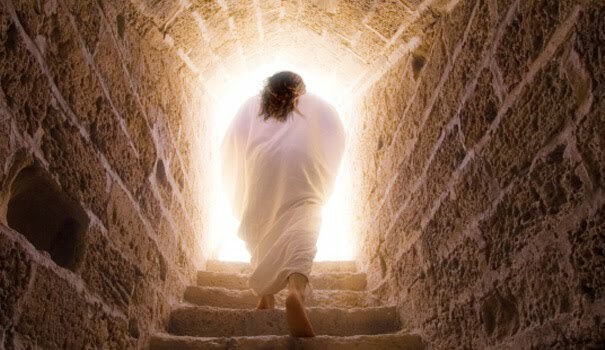 He is not here, He has been raised up"
2016 years later, that tomb is STILL empty. Yet it was our infirmities that he bore, our sufferings that he endured, While we thought of him as stricken, as one smitten by God and afflicted. 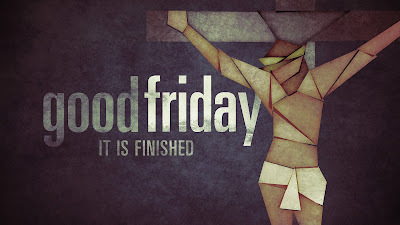 But he was pierced for our offenses, crushed for our sins, Upon him was the chastisement that makes us whole, by his stripes we were healed. 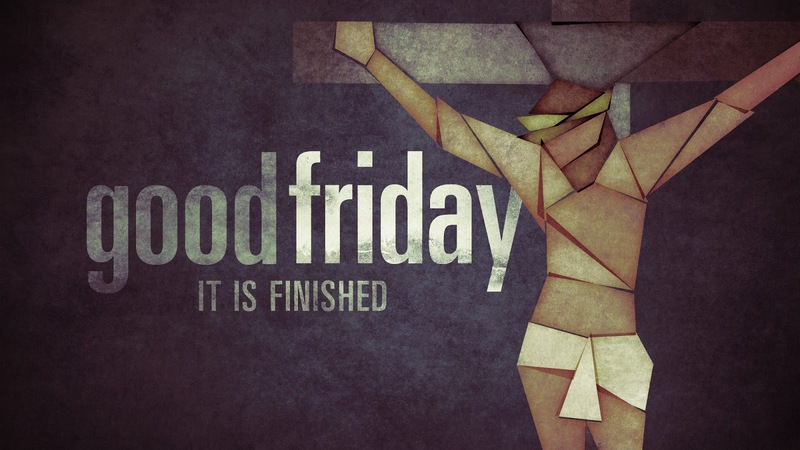 We had all gone astray like sheep, each following his own way; But the LORD laid upon him the guilt of us all. Though he was harshly treated, he submitted and opened not his mouth; Like a lamb led to the slaughter or a sheep before the shearers, he was silent and opened not his mouth. A grave was assigned him among the wicked and a burial place with evildoers, Though he had done no wrong nor spoken any falsehood. 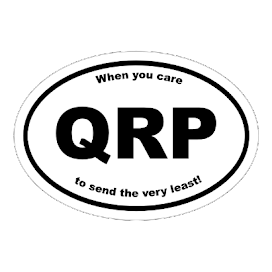 I've been working on the 2016 QRP To The Field website, rules, links, deleting old stuff, etc. all night, but taking longer than I thought. So to not cause any further delay, here's a HEADS UP on this year's QRPTTF. TIME: 0800-1800 your local time U.S. Operate from any National Park, State Park, or AOP (Any Ole Park). 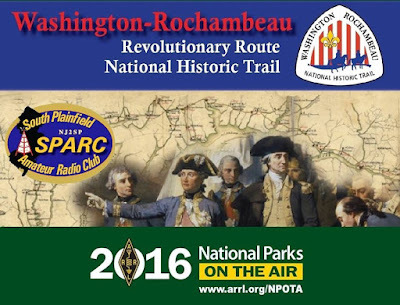 This is designed to be compatible with the ARRL's NPOTA - for those participating in the ARRL's National Parks On The Air. 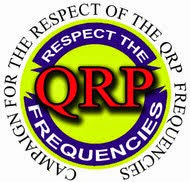 Thus, QSOs for QRPTTF will also count for the NPOTA if operating from an NPS qualified park or facility. If more convenient, operate from a nearby State Park, Municipal Park, or other park for the "Park" multiplier. SOTA stations operating from a qualified summit (and who doesn't?) also count as a "Park" multiplier. That should be enough for now to mark your calendars, charge your batteries, dust off your field rig, and come up with a good excuse on why you will be gone Saturday, April 23. I've said this before ... when you come right down to it, NPOTA is perfect for QRPers. It doesn't have to be complicated, it doesn't have to be a mini Field Day (unless you want it to be, of course). Personally, when it comes to portable ops, I feel the simpler, the better - a la` Jim W1PID, Steve WG0AT and countless others .....a rig, a battery and an antenna, and a whole lotta fun.. 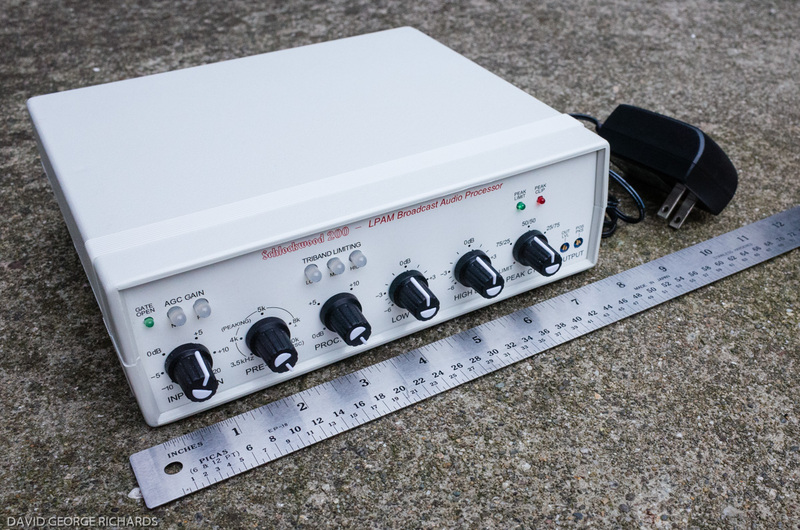 There's nothing like QRP and the Great Outdoors! The original version of this was written in 1928, by Paul M Segal W9EEA, and it's been modified over the years as things change with the times. The core message remains the same though, as it's pretty much timeless. The one trait that I want to touch upon today, is the "Balanced" one. Sometimes, I think we forget this one the most, and the evidence is not that hard to find. Take a wander on over to Facebook, or listen to a repeater and it's pretty obvious that some of us become seriously preoccupied or obsessed with such activities as NPOTA, contesting, DXing, county hunting, SOTA, etc. Amateur Radio, on the whole, and these activities in particular are good and wholesome things. For instance, I'm certain that a lot of our wives, husbands and significant others would rather have us in the shack, yakking away on our radios than spending the month's mortgage money in bars,saloons, casinos or race tracks. But it's easy to lose focus and become obsessed. Radio sport that involves chasing that elusive country, county, SOTA peak, NPOTA entity or whatever should never become the focus of our lives, or our reason for being. Just as purchasing that new rig, antenna, or piece of test equipment should never result in being unable to pay the mortgage, rent or put food on the table. It should also never result in the kid's college fund being raided. Do you enter the shack on a Friday night for a contest, only to emerge late Sunday evening or early Monday morning? That's not good, my friends. Even an essential thing can become bad, if you're not careful. Are you that someone who HAS to be at every civic function or training class? Even public service, as worthy and noble a cause as it is, should never become between you and your family. Before going out to respond to any disaster or emergency, the health and welfare of your loved ones should always be your top priority. If they're not taken care of, you don't go. The bottom line is that there's more to life than Amateur Radio. In our quest to satisfy our passion, sometimes we forget that. Family, friends, loved ones and those relationships are way more important, and should always come before getting that high score, or working that 300th country or buying that newest, latest and greatest radio. Always keep in the back of your mind that the greatest gift you can give your family is your time. If you're doing OK with that, then you're doing a good job with the "Balanced" part of The Radio Amateur's Code. As planned, I went and activated Morristown National Historical Park (HP28) for NPOTA. Things didn't turn out as well as I had hoped; but it was still a good time nonetheless. I got to the park on time, right before Noon (1600 UTC). I allowed my TomTom GPS unit to bring me up to Jockey Hollow via a new route which I had never taken before. This brought me up through the Great Dismal Swamp, which is designated as a National Wildlife Refuge. It is truly a beautiful area and as I was driving through, I could see herons and egrets and all sorts of birds in the marshes. Seeing that the Great Dismal Swamp is designated as a National Wildlife Refuge, I was wondering why it's not listed as one of the NPOTA WR entities. A little Googling revealed that the Swamp is administered by the United States Fish and Wildlife Service and not the National Parks Service. That's a shame because that would be a really beautiful area to set up a portable operation from. Anyway, I got to the Park and got set up, which by now, only takes me a few minutes. After so many lunch time QRP sessions, I could do this in my sleep, or with my eyes shut. Since I was planning on operating some SSB in case there was a lack of activity, I brought along my big, heavy Werker deep cycle battery. I figured that this way, I could operate for an extended period of time at the 10 Watt SSB level if I needed to. And boy, did it turn out that I needed to! The first thing I did after setting up was tune to around 14.061 MHz - the neighborhood of the QRP Watering Hole. I was shocked by what I heard - wall to wall CW signals! There was literally nowhere to sit where there wasn't a station calling "CQ TEST". I didn't realize that today was the RUDX, the Russian DX Contest - and boy, it filled the band! I went on up to 17 Meters and heard some Europeans that were very loud. Knowing that meant the band was wide open, I easily found a clear spot at 18.082 MHz and proceeded to call "CQ NPOTA". The band was wide open, but as it turned out, there wasn't much if any activity. I worked K0IG right off the bat and then ...... nothing. Not wanting to waste too much time, I got out of the Jeep and switched from the Buddistick to my 40 Meter Hamstick. I went down to 7.037 MHz, called CQ and was greeted by the normal NPOTA pileup. I was stoked and began to work station after station. The only bad thing was that the initial pileup lasted for only a few minutes, and then I began the monotonous routine of calling "CQ NPOTA" and waiting minutes in between answers. Getting bored, I decided to give 20 Meters another try. Off came the Hamstick and up went the Buddistick. I called CQ for a bit and got a couple of QSO completed on 14.060 MHz, but it was tough. The stations calling me were loud, but their calls were being blanketed by even louder DX stations. Those guys had to be using mondo power. How much do they allow over in Europe, anyway? Sitting there, disappointed as heck, I was ready to pack it in and head home a bit early. Then an inspiration occurred that maybe I should give 20 Meter SSB a whirl. Even though I'm not an avid fan of SSB, I decided to give it a shot. I was rewarded with a small run of about a dozen stations before that too, ended up petering out. I had gone up to HP28 with a spiral notebook, thinking I would fill pages with call signs. After all, my outing to TR23 in January netted me over 80 QSOs. For some reason. I was thinking I would break that record easily. Just the opposite happened! I ended up with only 27 QSOs - but you know what? I discovered that a bad day of Amateur Radio is STILL better than a good day at work. So I'm a happy camper, anyway. This only gives me more incentive to go back up to HP28 later this year, but this time throw a wire into a tree. I know that's kind of verboten, and on Facebook, someone actually related how they were asked to leave a park the other day for doing that. With that in mind, just before I left, I went to the visitor center and explained that I was an Amateur Radio operator and what NPOTA was (she knew what it was, by the way) and asked if there was any prohibition about wires in trees. She said as long as it was temporary, and would cause no damage and would not interfere with anyone else's visit, that they were OK with it. So when I got back to the car, just for the heck of it, I attempted to launch a line over a limb just to see how it would go. 30 plus feet on the first try. 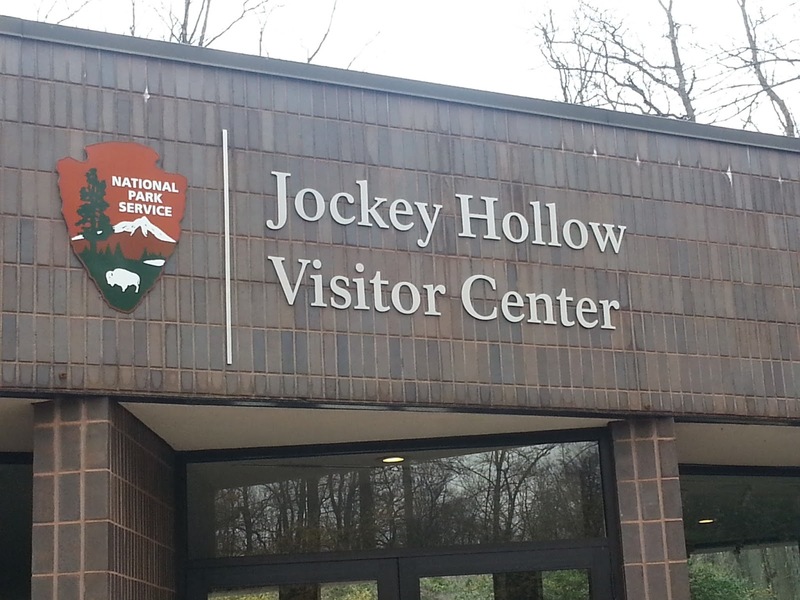 I'll be back, Jockey Hollow! I had a wonderful experience today during my lunch time QSO. Not hearing any NPOTA or SOTA station on 20 Meters, I decided to go on up to 17 Meters. There was not much activity there, so I decided to call CQ around 18.086 MHz. I was answered by Benny K5KV - who I can only describe as "The Master Bug Fist". It's not often you hear a bug fist as smooth as Benny's. Most bug fists (mine included) have a swing to them, as it's really, really hard to get that dit to dah changeover and the timing ratio down. Like many people, I tend to accentuate the dahs, as they are totally manually generated. As a result, my bug fist is not as smooth as I would like it to be. Benny's is as close to perfection as you can get. In fact, Benny's fist is so smooth as to be musical. He had the spacing and rhythm down pat. His is a fist you could listen to all day .... where the words just appear on a piece of paper that's inside your brain. The definition of armchair copy. I wish that I had a recording device with me so that I could share the experience with all of you. It was THAT good. 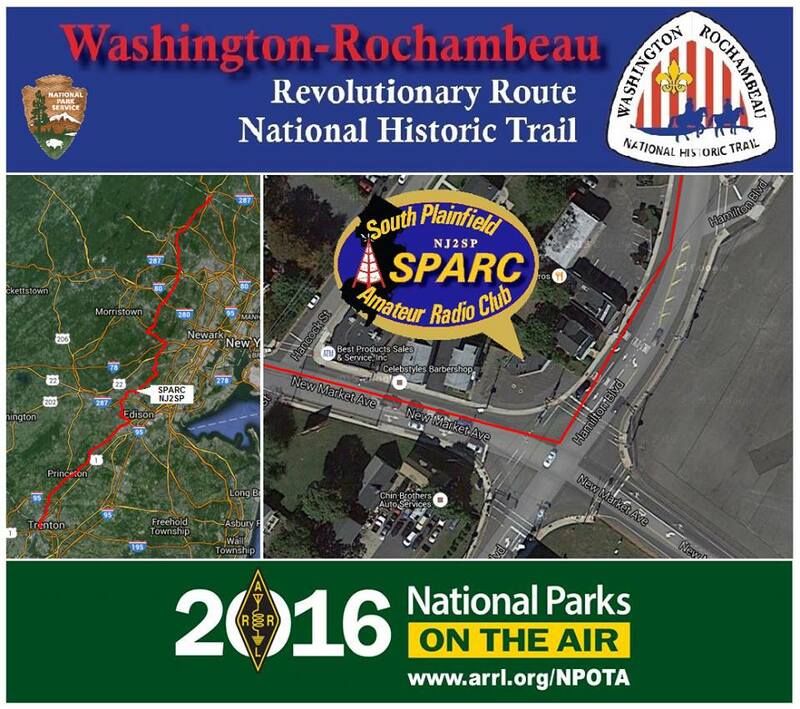 The weather is looking good for Saturday for my planned expedition to Morristown National Historical Park (NPOTA HP28) this coming Saturday. Sunny with high temperatures in the upper 40s (9C) Hopefully, there will be no curve balls out of Left field that will preclude me from going. The plan is to leave the house somewhere around 11:00 AM (1500 UTC) and be up there and on the air by around 12:00 Noon (1600 UTC). I plan on working 40, 20 and 17 Meters - CW around the QRP watering holes. I'll be packing some water and snacks and hope to stay for three or four hours. I am going to see if I can get the PAR END FEDZ 40/20/10 up in a tree in the parking lot. If not, I'll just rely on the Buddistick for 20 and 17 Meters and a Hamstick for 40 Meters. Last Saturday, I went to the Cherryville hamfest out in Flemington, NJ which is run by the W2CRA, Cherryville Repeater Association. This was the very first hamfest that I ever went to as a newbie Ham back in 1979, and it's always held a special place for me. Unfortunately, over the years (and especially since the dawn of eBay) the Cherryville hamfest seemed to be on the down slope. Like a lot of hamfests, it suffered from poor attendance, lack of vendors, etc was plaguing it - and seemed to be spiraling towards its death knell. Happily, between last year and this year, that trend seems to be reversed. Attendance is still nowhere near where it used to be, but it's growing. The number of vendors is still down (but again, growing), and for the most part the really bad junk is gone - and by junk I mean non-ham related garbage. I mean really, who wants to buy a roto-tiller at a hamfest? Sure there's still lots of non-Ham stuff to be seen, but it also seems there are more and more treasures to be found. I purchased some new SO-239 chassis connectors as well as two old butterfly type variable capacitors that I got for five bucks. The capacitors have long stems on them, so they should be useful in my magnetic loop antenna project. I need to clean them up with some contact cleaner, but some initial testing seems to indicate that they are in the 200 pF range. KJI Electronics was there, and I purchased a Diamond antenna for my VHF/UHF handheld. What a difference when you buy the real brand and not a cheap knock-off! Before I forget ........ I have a friend who has a "hardly used, very good condition" SGC-2020 QRP radio that he wants to sell. I am not privy to the price. But if you're interested, send an e-mail to w2lj@arrl.net and I will forward it on to him. He's not looking for eBay type money, but he's not interested in getting taken, either. There's an ongoing discussion on the ARRL NPOTA page on Facebook. It appears that a newbie Ham activated a Historic Site and posted a picture about it on Facebook. The problem is, that from the picture posted, it's apparent that the operation took place in front of the site, on a street instead of on the actual property of the Historic Site. As a result, his activation was disqualified. In NPOTA rules, that's a no-no, unless you get dispensation from the ARRL after explaining mitigating circumstances. In the case of an Historic Site, an NPOTA activation has to take place on the actual site, its parking lot or driveway - not on the public street in front of it, as that space in NOT administered to by the National Park Service. Instead of dealing with the mistake and the ensuing disappointment, the newbie Ham resorted to what only can be politely described as a ...... umm, err ............ lengthy bout of whining. He was whining about why he thought the rule was faulty, in his case, and then he started whining about the rules in general and about Sean Kutzko, the NPOTA Administrator, in particular. He also whined about the lack of a prompt response and how he perceived that others in the group were "disrespecting him." "(Name withheld), yes, you're right, we all started from nowhere. And we've all made our share of mistakes. You can choose to learn from it, carry on and have the satisfaction of having gained some experience, or you can choose to stew about it. Not trying to be snarky or disrespectful, but each and every one of us has been down that road. Just remember that nothing worthwhile comes easy ..... and as a wise old boss of mine once said, "Respect is earned and not granted." I've noticed that some of the younger generation can't seem to refrain from using the "vulgar vernacular" of the streets in their posts. There's no need for street language or "cussing" in a discussion with people who are other than your immediate circle of friends. IMHO, using that type of language is not conducive to earning the respect you are so desperately seeking. And then the matter of making the mistake. So what? We've all made them. Some way more serious and costly than this. All he lost was time, basically. Some (many) of us have made mistakes that have cost money, like blowing up power supplies, or frying finals, for example. But even there, you have the choice on how you want to handle it. You can learn from your mistake and move on, or you can throw yourself a pity party (to be blunt). It's smarter to move on and learn. If he's like most of us, he won't make the same mistake again. Even though the long range forecast for Saturday, March 19th is calling for rain and drizzle, I am contemplating doing another NPOTA activation. The weather this time of year is always changing, so I am hoping that next Saturday will actually turn out nice. The best area for operating without causing too much undo commotion to anyone else, is from the parking lot at Jockey Hollow. Jockey Hollow is where the Continental Army wintered in 1779-1780 - a winter which turned out to be way more severe than the previous winter, which has become better known as "The Winter at Valley Forge". That's where Dave KD2FSI activated HP28 back in January (and where I logged for him as he handled his really first big HF pileup). I noticed some pretty tall trees right next to the parking spots (the parking lot is big), so maybe I can quietly throw my PAR END-FEDZ 40/20/10 into one of them. Of course, the main bands for operating will be 40 and 20 Meters. As is always the case for W2LJ, operations will be primarily CW - but I am thinking of perhaps even doing a little QRP SSB if activity on the CW bands gets lax. I'm not sure if HP28 has been activated via CW. Maybe I can be the first. This weekend, if I get the time, I would like to finally experiment with building a magnetic loop antenna for 40 - 10 Meters. I have some coax in the basement that's too short for anything else and would serve well, I think. I have a 365pF variable cap that I got from eBay. I have been reading some articles lately and it doesn't look like building a rudimentary loop would be all that difficult. If I have success with it, maybe I can eventually come up with a homebrewed version of the AlexLoop WalkHam model that I can use for portable ops. It might prove to be a viable option when I want to be away from the Jeep, and yet I can't hang an EFHW, or doublet. Is there anything as frustrating? As answering a CQ from a guy who's louder than all get out .... only to hear him continue to call CQ in your face? The South Plainfield Amateur Radio Club has two meeting nights each month. The fourth Wednesday of each month is our "official" business meeting, where we take care of all the normal matters that come before any Amateur Radio club. The first Wednesday of each month is our informal "Operating Night" meeting. This tradition was instituted by our founding and current Club President, Marv K2VHW. His idea was to have an evening set aside where the older members of the club could meet with the newer Amateur Radio ops and engage with them about some radio or operating related topic. Marv has been down and out with some back troubles, so at our February meeting, Ron N2LCZ. our Recording Secretary, suggested that for the March operating night, that we should do an NPOTA activation. 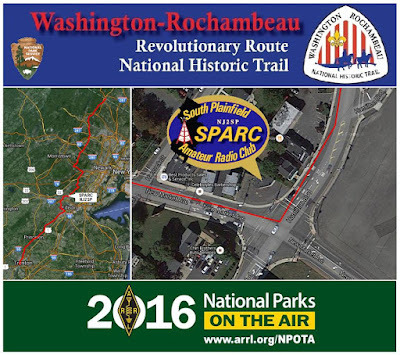 The Washington-Rochambeau National Historical Trail (TR23) runs right in front of our meeting place, the South Plainfield CERT Building, which is on the corner of Hamilton Boulevard and New Market Avenue - Hamilton Boulevard is part of the trail. We are, quite literally, only about 25 feet or so from the roadway, and the Trail. 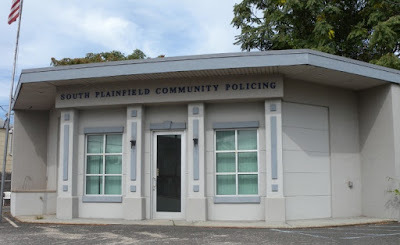 Our meeting place was originally a gasoline filling station that was converted by the South Plainfield Police Department into a satellite Community Policing Building. 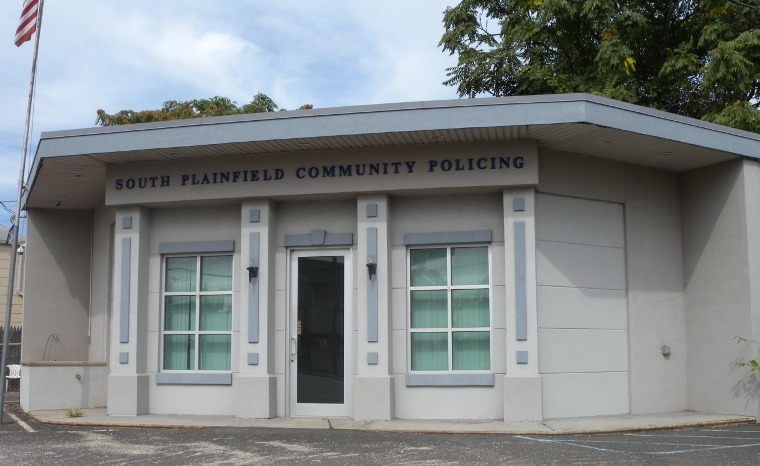 When the SPPD took over the mantle of Emergency Management, they generously offered use of the building to the South Plainfield CERT/RACES team. SPARC is allowed to use the building for its meetings. So last night we got together to put NJ2SP on the air. Dave KD2FSI set up some equipment, his Yaesu HF transceiver and ran some coax out to the screwdriver antenna on his van. Power was provided by a Werker deep cycle battery. We started out on 20 Meters, where unfortunately, we had a close to S9 noise level. Even so, we made QSOs from the West coast to Suriname. When 20 Meters dried up, we switched over to 40 Meters where the background noise level was slightly lower, but the incoming signals were much louder. And that's where the bulk of our 51 QSOs were made. We were busy for the better part of an hour. The best part about it all was that neither Dave or I made the QSOs. I sat there as a logger and "QSO Coach" (and control operator) while some of the other members of SPARC, who have no regular access to HF took over. It was not hard to tell that they had a blast and after one or two QSOs, they were behaving like HF veterans. The high point of the evening was when a visiting YL sat down and took over the microphone. I scribbled out a brief script for her, so she would know what to say and she took off and hit the ground running. 40 Meters seemed like it was quieting down, but as soon as her voice went over the air, the dam broke loose and we had another pileup on our hands. Lee Ann has visited our club a few times and is deciding whether or not she would like to pursue obtaining her own license. I am willing to bet that last night sealed the deal. I rarely mention other's blog posts directly on this blog, the reason being that I hesitate to be seen as plagiarizing another's ideas or content. But I am going to make an exception in this instance. Yesterday, I was reading Jeff KE9V's post on his blog "Perturbation". He was telling of his experience of coming across someone's QRZ page and how they stated that they had left HF for good. I'm not going to reproduce Jeff's work on this blog, you can go read it for yourselves here. Jeff mentioned that he was startled by the reality of the announcement. I for one, can't even wrap my brain around the concept. 2016 marks my 38th year as a licensed Amateur Radio operator. Since the day that I first learned about Amateur Radio - what it is, what you could do with it, what the possibilities are - my eyes were always on being an HF operator, first and foremost. I had a laser like focus on it. For me, operating on the HF bands has, is and always will be what Amateur Radio is all about. Yes, I realize there are more facets to this hobby than appear on the Hope diamond. I am in no way denigrating those other facets or saying that those are some way invalid. No, this is just a very personal thing. To ME, Amateur Radio is all about HF. That's not to say that I haven't enjoyed some of those other facets, myself. I have communicated through satellites, I've taken a whirl at packet back in the day when that was the fad du` jour. But through it all, the one constant throughout my Amateur Radio career has been the ability to operate on the HF bands. Maybe it's because I've never owned a "Super Station". Maybe it's because my antennas have never been more than wires and verticals. Maybe it's because I've never had as much time to devote to this pastime as I would like ...... there's so much more to do, so many challenges to tackle. And, sadly, so little time to do it in. I doubt I will ever make DXCC Honor roll. I'm not what you would consider a "Bigtime DXer", but I still get a thrill each time I work an ATNO. I enjoy the challenges of the QRP Foxhunts and the outdoor QRP sprints, but I don't consider myself a big time contester. Like everyone else, I get my "feast or famine' times. 38 years is a long time to be doing any one thing and yes, there have been times that I haven't touched the rig in months. There are days when life gets so consuming, that I don't even feel like being bothered. But this is normal, and I know that these times pass. And even during those periods of non-operating, I was always comforted by a thought in the back of my mind that my radio was always there, in the shack, like a loyal hound waiting for me to come and play with it. On the flip side of the coin, there have been times when I have had to send a rig away for warranty repair and was left alone without a backup. I felt like a part of me was missing. Not an addiction, but still an essential and big part of my life. Maybe I'm being shortsighted, but I cannot imagine the day will come when I will NEVER get excited about sitting behind the rig and throwing out my "fishing line" to see what I can catch. My grandfather, a wise Polish man, once told me that everyone has to have a passion in life. Something a person can get excited about and forget about their cares and worries, even if it's just for a little while. I have two such passions in life - Amateur Radio and baseball. They both have a place in my existence. I control them and not the other way around, but life would be a lot duller and more gray without them. Even though I understand the science and the theory behind Amateur Radio, it still maintains an air of something "magical" for me. I hope and pray it always will.